Not exactly safe for work. But pretty funny. I am shocked at the immorality shown here. Forcing people to participate in commerce through gratuitous abuse of the taxing power. Ew. It was spring on the Columbia University campus, and "Keep Off" signs sprang up on the freshly seeded lawns. The students ignored the warnings -- which were followed by special requests -- and continued tramping across the grass. 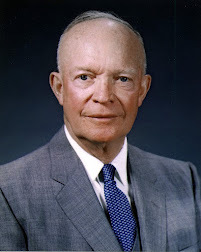 The issue became rather heated, until finally the buildings-and-grounds officials took the problem to General Dwight D. Eisenhower, at that time president of the university. "Did you ever notice," asked Ike, "how much quicker it is to head directly where you're going? Why not find out which route the students are going to take anyway, and build the walks there? A Homeless Man in Hoboken?